Platinum DJ Service and Party Rentals in Lubbock provides DJ and party rentals for weddings, corporate events, proms, and any other event. 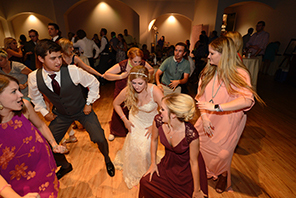 From our complete Lubbock DJ service to light and dancefloor rentals, we can outfit any event you may have. Weddings are once in a lifetime events with special needs. From complete DJ service to the dancefloor and light rentals, we can make your wedding day perfect. 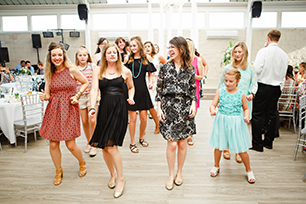 Festivals, proms, and corporate events are more fun with a professional DJ service. We bring the fun with great music, fun entertainment, and even live music if you need it. Platinum DJ and Party Rentals provide dance floors, stages, lighting systems, and sound systems for any wedding, party, or event. We even do karaoke! 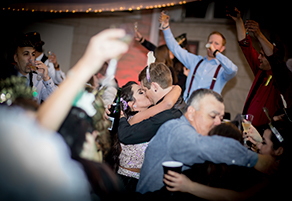 We look forward to making your wedding, party, or even a hit with DJ, Karaoke, and Party Rentals in Lubbock. We offer same day setup and teardown for most of our rentals and customize our services to fit your unique style. Shawn was terrific! Great reception music, great MC’ing the reception and did a WONDERFUL job in the wedding ceremony! HIGHLY RECOMMEND Shawn for all of your events! Shawn is awesome!!!! Thanks for the awesome job!! You always make our weddings so fun. Shawn did such an AMAZING job at our wedding!! I could not have imagined it being any better! He cued the music in all of the exact places he needed and he helped keep the wedding rolling with all of our scheduled events! He was so upbeat and fun and my whole family had a blast! We had so many family members up out of their seats dancing. Thank you so much for what you did for us!! Shawn was the DJ for my daughter and son-in-law’s wedding on May 26. He met with us a few days prior to the wedding to make sure the night would go as we wanted. He did not disappoint! Shawn’s playlist was perfect and he knew how to keep the party hopping! We highly recommend Shawn Pena of Platinum DJ and Party Rentals for your DJ needs! Shawn did an amazing job with our wedding! He was so reliable and so much fun! He made our wedding a great experience! He has so much knowledge and he did everything the way we wanted! It was a perfect day! I would recommend him to anybody! I recommend him to anyone for their wedding. He is awesome at what he does. We had to change our date at one point. So easy. Had everyone our on the dance floor. Played everything we wanted. Never played a song we didn’t like. The groom & I were all over the place(more me than the groom of course), & he was so relaxed with us. We didn’t have to worry about a thing! He had it all under control. Thank you again, Shawn! Wedding Oct 28, 2017. You did an absolutely wonderful job! 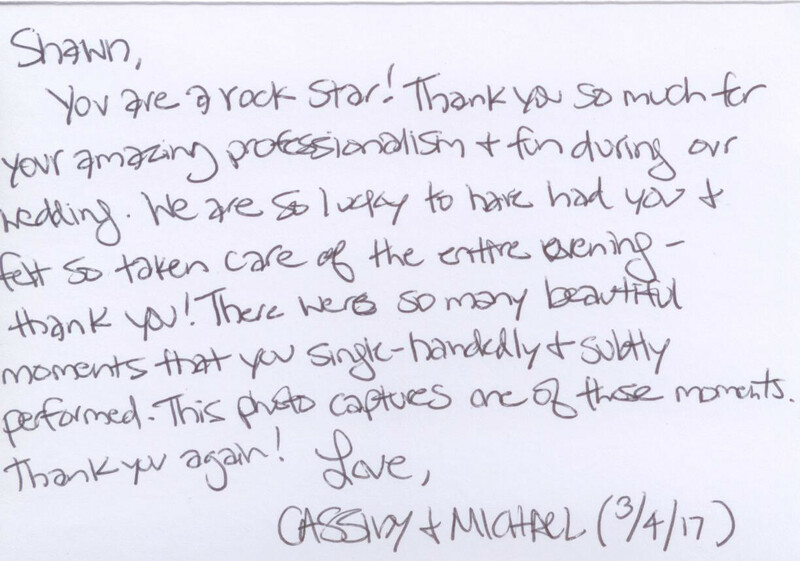 We truly appreciate the way you kept the crowd engaged and tended to our needs! Your professionalism definitely added to our overall experience and we would recommend you to anyone looking to get the most out of their special day!!! Thank you, Mr. Pena!!! We could not have asked for a better DJ. Platinum DJ kept the party going and had everyone on the Dance Floor. Shawn made sure the night of our daughter’s wedding was absolutely perfect. I highly recommend using Platinum DJ. We hired Shawn for our wedding and it was so much fun. It doesn’t matter how much planning went into it if we weren’t able to keep people on the dance floor and Shawn accomplished to keep it full all night. He is courteous and extremely professional. We got nothing but compliments about what a great party it was.